Sony insists that reports of overheating Vitas are mostly down to users charging them with wet cables. The PlayStation Vita is beginning to catch on. It's also beginning to catch fire, if reports are to be believed. According to Japanese website, Yomiuri Shumbun, there have been 31 reported cases of Vita units becoming dangerously hot while charging since the device launched last December. 23 of those cases occurred in Japan, which has prompted the government to order an investigation into the matter. The investigation will be carried out by the National Institute of Technology and Evaluation, an independent agency working on behalf of the Ministry of Economy, Trade and Industry. Judging by reports, the overheating problem seems to be linked to the Vita's charging cables, as every incident bears the same description: "The portable game machine was recharging. The cable burned out and changed colors. The cause is under investigation." 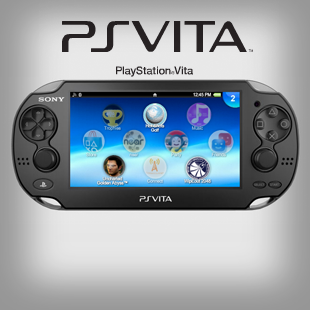 Sony maintains that there's no defect in the Vita's design, and cites human error as the cause of the problem. "We believe the cause [of the burnouts] is that the cable got wet or had something stuck to it," read a company statement. "There is no defect." Sony has since posted a press release on the Japanese PlayStation website, reminding those of you who enjoy smearing marmalade all over your handhelds that the unit's charging cables shouldn't be exposed to liquids or "foreign substances."